Time Warner will be offering 50 high definition channels to its subscribers in New York which includes the Brooklyn, Queens and Staten Island areas on April 30. The company also plans to offer the 50 HD channels to customers in Manhattan, New Jersey, the Hudson Valley region and Mt. Vernon later in the year. By the end of 2008, they expect to have 100 HD channels and more than 250 HD On Demand programs to choose from. Here is a list of the 50 channels expected to be available by April 30, 2008. 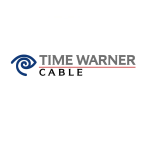 Time Warner Cable of New York and New Jersey currently has over 1.4 million subscribers in the area. Across the U.S., they serve over 14.6 million customers.